Hi there, and welcome to Lakeland Bakery! We’re a family bakery based in the beautiful county of Fermanagh in Northern Ireland, and we’ve been baking mouth watering food for over 60 years. Yes, baking is in our blood, from the early days when our bakery was a small part of a grocery store in Enniskillen, to the 30 odd years we enjoyed as a high street bakery under the name of Johnston’s Bakery. Today, we have a different approach to life. The Johnston family still own one of the best food establishments in Northern Ireland, The award winning Jolly Sandwich in Enniskillen, and we also have our very own Lakeland Bakery. As well as life long bakers, we’re also a family which has experienced first hand the difficulty in sourcing tasty, quality foods for those with allergies and food intolerance. It’s this difficulty which has spurred us on to create our range of allergy friendly bakery products. This is something we’re immensely proud of, as we have worked with one of the leading names in the field of allergies and food intolerances, the late Professor Jan de Vries. We feel very priveleged to carry the endorsement of such a leading figure, and hope that this endorsement will give all of our customers even more peace of mind when it comes to buying and enjoying our range of goodies. We use natural ingredients, free from artificial preservatives and colourings,in our finished products, because we believe they’re the best. how ever some of the icings and fillings have had to have a little artifical preserative ( well within the guidelines ) added so they reach you in tip top condition. We won’t compromise on quality. If over 60 years of baking has taught us anything, it’s that the proof is in the taste, and it’s got to be perfect! Every single customer is important to our business. We wouldn’t be here without you, so ensuring you’re happy is at the core of everything we do. 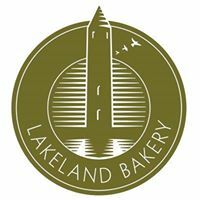 That’s what we’re all about here at Lakeland Bakery, and we hope you’ll be a happy Lakeland Bakery customer for a long time to come. Why not have a look at some of our tasty gluten free and wheat free products online, or browse all of the other delicious treats we have for you? And remember, if you can’t find what you’re looking for, just get in touch and we’ll do our best to help!